Becky is a native Floridian from the Tampa Bay area and has favored bicycle commuting since her grade school days in Clearwater. 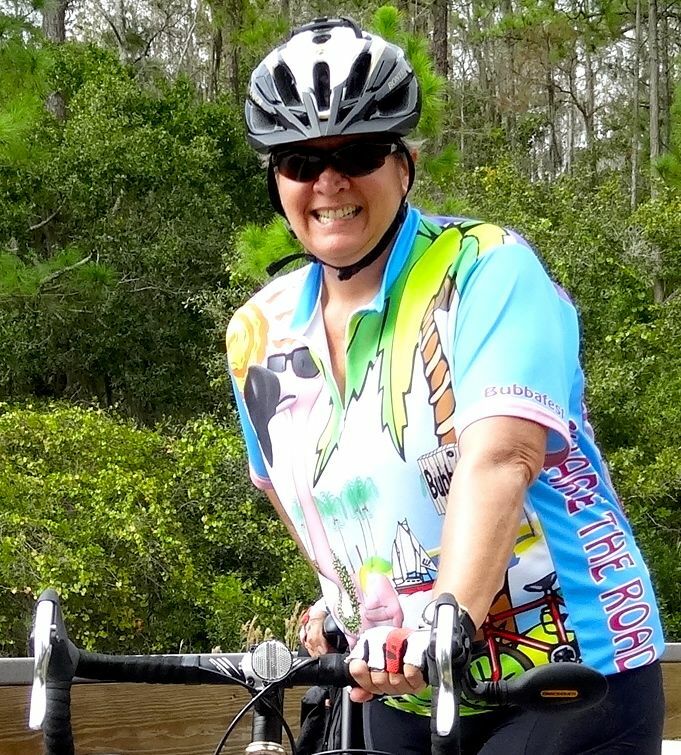 Her interest in road and off-road riding evolved in the late 1990s, becoming a member of the Suwannee Bicycle Association, SWAMP and a charter member of the Suncoast Cycling Club. She served on each club’s board and within all three took on additional duties as social director, newsletter editor, List-Serve Moderator, volunteer coordinator, and event director. Becky holds a degree in Mass Communications from Loyola University in New Orleans, specializing in television news directing – an intense skill set of time-management and multi-tasking that keeps things moving forward. 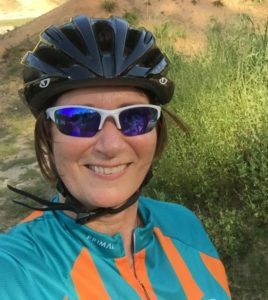 Becky has over 25 years of cycling experience in project management, route logistics, event directing and marketing from positions at Bike Wisconsin, Bike MS Breakaway to the Keys and Bike Florida. She is a League of American Bicyclists Cycling Instructor (LCI), Florida certified bicycle helmet fitter and graduate of CyclingSavvy. Upon becoming executive director of FBA, Becky has focused on traveling the state for educational outreach and networking with elected officials for positive cycling legislation. Becky has a policy of joining bicycle clubs who join FBA and is now a member of over 30 Florida bicycle clubs. Becky is Senate appointed and current chair to the Florida Department of Environmental Protection’s Florida Greenways and Trails Council, vice-chair of the Forward Pinellas Bicycle & Pedestrian Advisory Committee and interim chair of the Bicycle/Pedestrian Safety committee of the Florida Suncoast SAFE KIDS Coalition Pinellas Council. Known as the “Coffee Lady” at the July Michigander and the November BubbaFest Florida Keys bicycle tours, Becky continues to bicycle commute locally in Oldsmar and travels with her folding Dahon Espresso bicycle to enjoy riding wherever the road takes her. Laura has over 30 years of experience working for non-profit organizations in areas ranging from education and advocacy to marketing, management, event coordination and administration. 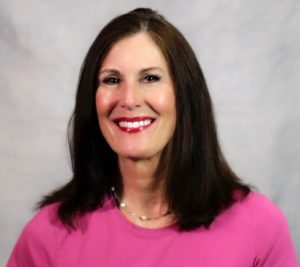 For 10 years she served as executive director of Florida Bicycle Association preceded by 13 years with the Florida Governor’s Council on Fitness and Sports to promote active lifestyles through a wide variety of sporting events. She was fortunate to participate as a volunteer at the 1996 Summer Olympic Games in Atlanta and 2002 Winter Olympic Games in Salt Lake City. Laura’s skills include organizational planning and budgeting, legislative and governmental relations, and enthusiasm in everything she does. She is a past board member for Paddle Florida, Bike Florida and the Alliance for Biking and Walking. She loves to paddle, bike and hike, as well as travel and read. Laura lives in Sopchoppy, 35 miles and 100 years southwest of Tallahassee. Mary Beth has over 30 years of experience in retail operations, training and development to maximize talent and increase performance. She is the founder and president of Talent Optimization Inc. Training, development and consulting firm based in Miami Florida. She specializes in Leadership, Communication Skills, Negotiation, Coaching and Consulting with expertise in the Retail, Service and Hospitality industries. Mary Beth has over 23 years of experience in South Florida as an avid road cyclist, team leader, ride leader and marshal, fundraiser and safe cycling skills trainer. As a member of the Everglades Bicycle Club, the largest and oldest (founded in 1976) cycling club in South Florida, she created the Ride Leader Training and Ride Leader Program for ride leaders/trainers to lead weekly club rides from 12 MPH beginner’s levels to 22+ advanced rides. She holds certifications to conduct children’s rodeos, adult Pedestrian and Bicycle Traffic education and helmet fitting courses.